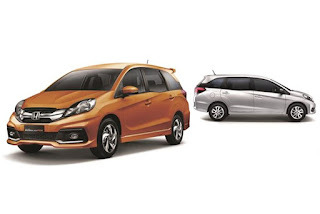 Honda Cars Philippines, Inc. (HCPI), Honda’s automobile business unit in the Philippines, sets record with over 3,000 All-New Mobilio sales since its local debut in April 2015. With this sales achievement, the All-New Mobilio has already earned its place as HCPI’s second best-selling nameplate among its 13 model line-up, and contributed a significant 25 percent in HCPI’s 2015 sales. The All-New Mobilio is Honda’s first seven-seater Multi-purpose Utility Vehicle. It was carefully developed to fit and satisfy the needs of the Asian market, which has greatly contributed to its strong appeal to Filipino customers. It stands out among other vehicles with its modern and young styling, advanced technology, and comfortable sedan-like ride. Along with the positive response the All-New Honda Mobilio received from the market, it has also been awarded as the 2015 Best Compact Multi-purpose Vehicle at the Car of the Year-Philippines Awards ceremony. Check out the award-winning All-New Mobilio at any authorized Honda dealership nationwide, and avail of as low as P 70,000 down payment until January 31, 2016.